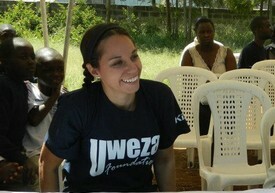 Rooney first traveled to Kenya to volunteer in 2006 and has volunteered with several Nairobi-based organizations since then. 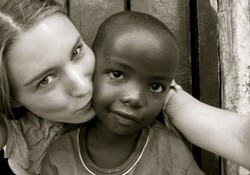 She founded Faces of Kibera in 2007 while studying at New York University. 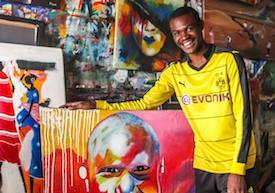 Since their inception, Faces of Kibera and Uweza have worked closely on joint projects. In 2011, the two organizations decided to pool resources and merge to work more efficiently and effectively. Amy is an International Development Consultant, with a focus on women and girls’ empowerment. She has worked in Nyeri and Kibera, Kenya as well as Tanzania and Ethiopia and has held positions with Human Rights Watch, EngenderHealth, the International Rescue Committee, World Food Programme, and the UN Foundation. 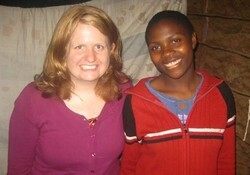 Jen traveled between the USA and Kenya six times over five years. She holds a MPH, with a concentration on International Health and Development and previously worked on family planning research with University of Nairobi. She is the founder of Uweza and as the only non-Kenyan staff member, focuses on listening to and promoting the ideas and solutions of Uweza’s program participants and her colleagues. Jeff has previously worked at the Children of Kibera Foundation and the Kenyan Education Fund, which both focus on providing education for children in Kenya. He is highly respected for his grassroots community work across Kibera in primary schools and as an effective counsellor to Kibera’s teenagers who attend schools and universities in many parts of Kenya and the USA. 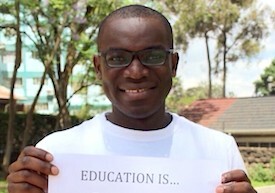 Jeff is passionate and keen on mentorship and empowerment among teenagers, especially the underprivileged. Charles started coaching at age 17 while still in high school. 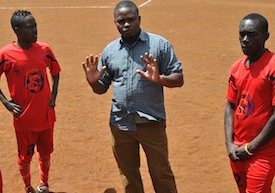 He has played with and coached for teams throughout Nairobi including Aga Khan Junior Academy and Aga Khan Sports Club as well as O.L.E Combined, Olympic Strikers, and Excel in Kibera. He received physical education certification from Malezi College in Nairobi and is currently working toward receiving a CAF Level C Coaching License. 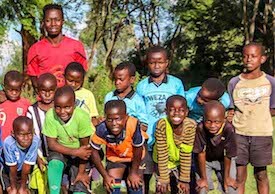 Dennis is the overall captain of all Uweza soccer teams, a player on the Uweza senior team and the first program participant to become a full-time staff member. 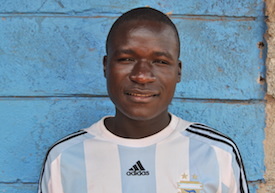 A long-time Kibera resident, he has played for more than ten teams in the area. He is currently undergoing training to become a CAF Level C licensed coach and has received training in first aid.